The Kiwanis Club of Greater San Mateo was chartered in 1925. We celebrated our 93rd birthday on August 20, 2018. Our success as a club is due to member passion for service. We plan various projects each year that focus on the special needs of the community. We raise thousands of dollars each year for specific club sponsored charitable projects in the local area, especially San Mateo. We also volunteer time each month in club service projects. Our club is especially known for its service projects, social gatherings and fund-raising events. As of February, our club logged 2701 service hours within the community. New community service programs include Bags of Love and Samaritan House (feeding the needy in San Francisco and San Mateo). Meetings: We hold club meetings twice a month at Poplar Creek Grill in San Mateo. We offer an atmosphere of fun, learning and fellowship. We meet for lunch on the second Monday of each month. We meet for dinner on the 4th Monday of the month. Members and guests are treated to lunch and dinner in the elegant Banquet Room offering quality food with magnificent views of the San Mateo Municipal golf course. Community Service: We hold two major community service projects each year. These are noteworthy projects with very profound results. It is our goal to see these projects grow to serve all in need in our community. Peninsula Kiwanis & Key Clubs, let by San Mateo Kiwanis, partnered with ODFL to help build classrooms for schools in 3rd world countries where none exist. 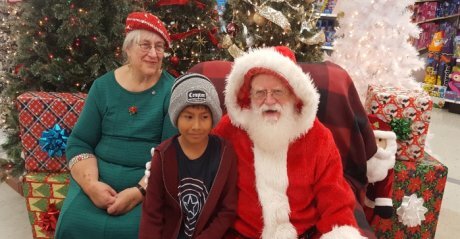 Greater San Mateo Club Members and volunteers helped select clothing for 60 underprivileged children who reside in San Mateo on Saturday, December 8th. The shopping spree was held at K-Mart in Redwood City, Ca. Each child received $100.00 worth of clothing (tee shirts, shoes, shirts, socks, jackets and like merchandise). 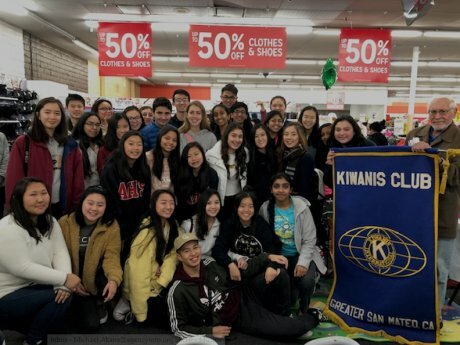 Members of Aragon, Hillsdale, San Mateo, Burlingame, El Camino, Carlmont, Lowell, Westmoor, Jefferson and Mills High Key Clubs participated in this annual based community shopping event. A total of 79 key clubbers were present on the 8th. Largest number of key clubbers present at said event. 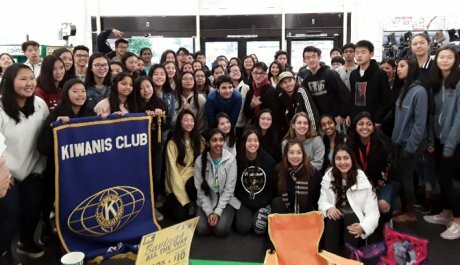 Service Leadership for High School Students: The Greater San Mateo Club sponsors four key clubs. Members of Aragon, Burlingame, Hillsdale and San Mateo Key Clubs cultivate leadership skills, develop friendships & perform community service in San Mateo & surrounding areas. They also demonstrate a passion for helping others. Students who attain these skills are more likely to achieve academic success, avoid risky behaviors, become engaged in civic activities & make positive life choices. Key Club affords the opportunity to begin or continue a lifelong journey of service. Photos Aragon & Lowell High Key Clubs. Project Eliminate - Eradication of maternal neonatal tetanus from the face of the earth by 2020 (KIWANIS/UNICEF). Ombudsman Services of San Mateo County, Addiction prevention and counseling.